10U Fastpitch teams continue to have the goal of building player fundamentals and player skill improvement. Less emphasis is placed on winning, as this is the league to develop pitchers and catchers. There are tryout evaluations in March to build teams upon player abilities and skills. Our goal is to form one A level team, then all other players will form equal B teams, but we base team formation off of results from evaluations to ensure we are developing pitchers and catchers as well as keeping like-abilities together. 10U Fastpitch plays with an 11 inch ball. The program’s primary focus is player development in nature. 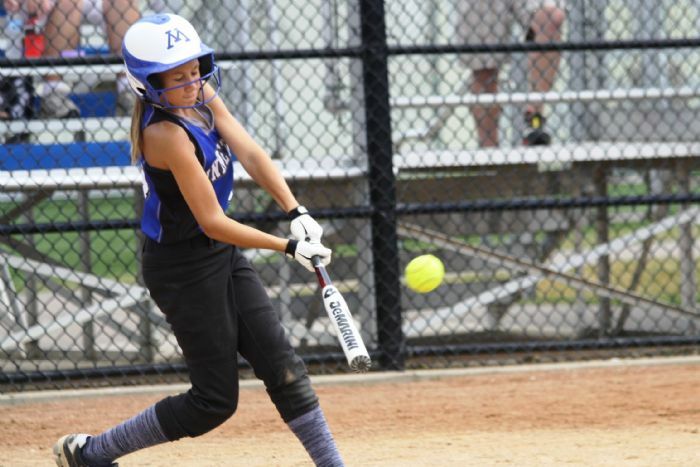 Girls will learn the game of fastpitch in a competitive environment. The full roster is batted for all games. Girls on average will play 3-4 different positions (or more) throughout the season. During league games, positions are fairly liberally rotated and winning is second behind getting girls at bats and opportunities at different positions. Tournament games are typically more competitive, and coaches will play more to win to enable playing more games in elimination brackets. The commitment to fastpitch is typically at a high level and attendance is important relative to player development. Committment: 2 practices and batting practice each week, one doubleheader each week, 4-5 weekend tournaments, and optional post-season play. We ask for players that want to join fastpitch to be dedicated to this sport. We want to keep our rosters small in order to get girls more playing time, but in order to do that, we need girls to be committed to softball during the season. We expect players to attend all practices, doubleheaders, and tournaments. Tryouts, Team Formation, 10U Eligibility is found here. 10U Fastpitch Rules found here.